Well, first of all, this tool is made by a japanese user “uprime22”, who sometimes helps and teachs me about some technically important part voluntarily. And this tool was originally made for fun of his own, but now it has grown up as a quite useful wave generating tool, so I want to introduce this tool to everyone here. This tool is for Renoise 3.0 or higher. It appears in the context menu of the Sample Editor (“Process” >> ~Selection shaper Kai…). First you should “create a new (empty) sample” in the Sample Editor. I recommend setting the sample length to “674” or “600” samples. Because the new sample is tuned beforehand, i.e. 674sample is tuned to “C” and 600 is “D” when you generate 1-cycle wave. This tool supports stereo sample too. 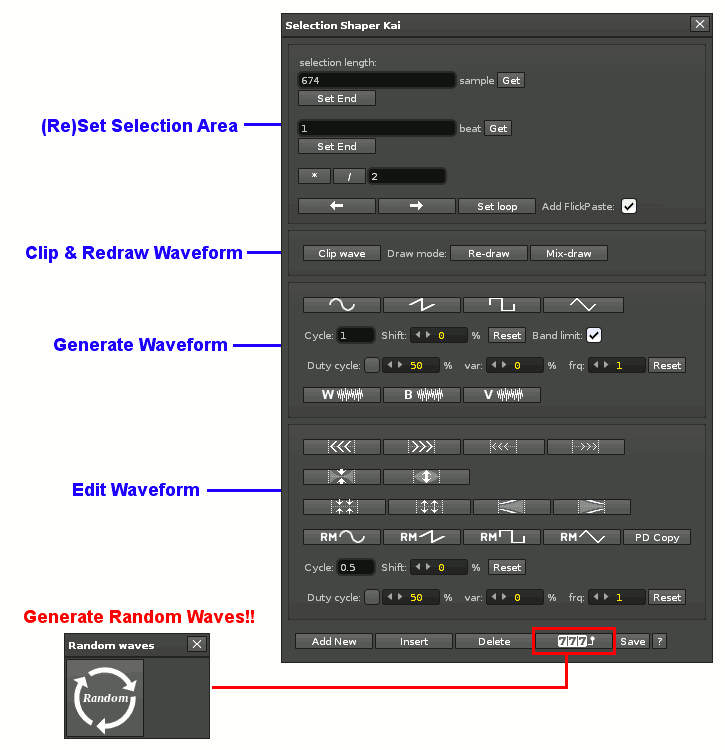 So you can create even a bit strange wave file like “L channel = Sine Wave & R channel = Square Wave”. This tool can generate 3 noises too (White, Brown, Violet). So why not using this in ReNoise?? About other operations, please refer to these GUI images below. And if you click the buttons on the GUI actually, I think that you can understand them soon. And, even If you feel “these buttons are difficult! !”, never mind. There is the big Random button (it’s appeared if you click the “777” button). Just click it again and again till you get the favorite one!! To download, please see the 5th post below, there are the files there. Construction of a horizontal timeline bar for the song? Creating waveform instruments that span across octaves? Just started using Renoise... I have 50 questions! Coooool, this brings the functionality of milky tracker (ft2 also? Never used original ft2) that lets you manually build one shots without having to hand draw them! I am making new version in Renoise-gate BBS. Updated XRNXs to version 2.5. 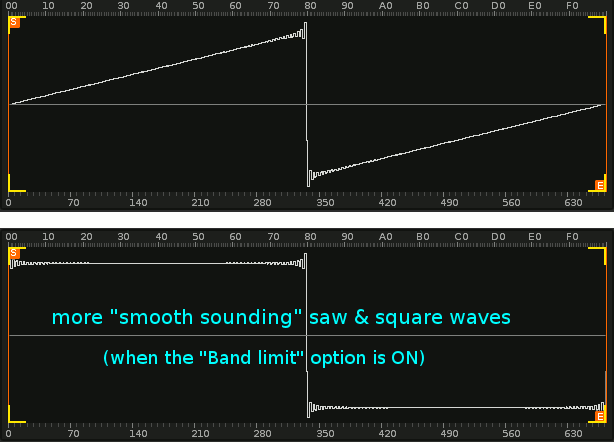 Version 2.5： Added some wave modulating options, random-waves option ,and band-limiting option. Menu entry is ‘Sample Editor:Process’. There are 2 GUI types of this tool. I’ve noticed a small issue, it always changes the base note of the sample to c4. ‘C:\Users\plugexpert\AppData\Roaming\Renoise\V3.0.0\Scripts\Tools\org.uprime22.selection_shaper_kai.xrnx\main.lua’ failed in one of its notifiers. Ah yes, basically this tool needs a sample in the Sample Editor beforehand. So at first we need clicking “Create” or “Draw” button on the Sample Editor, to create (even empty) sample before using this tool. Well, please take a long view for his development. Is there a channce to not steal keyboard focus while using it (clicking buttons? I am now developing new version taking your request. wow that was fast… works like a charm… THX. I have updated to version 1.8. 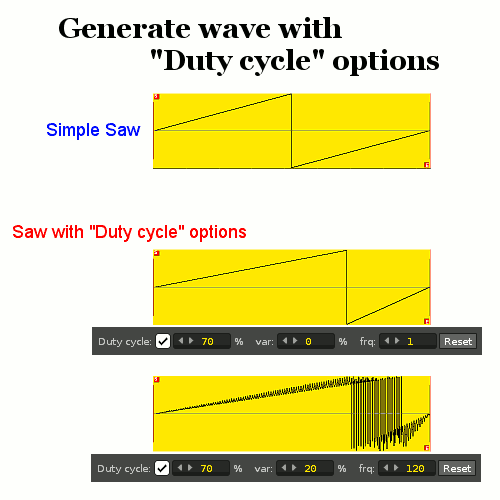 Added some tiny wave modulating options,‘cycle’ and ‘shift’. e.g. (cycle:1/4 shift: 1/4 )+ Fade with sin -> sin fade out ,etc. And I also updated the first post, to explain new features in v2.5 a bit. Actually, this tool has big possibility now, so it’s hard to explain about all functions in detail, so please refer to some images above and tooltips in it’s GUI. 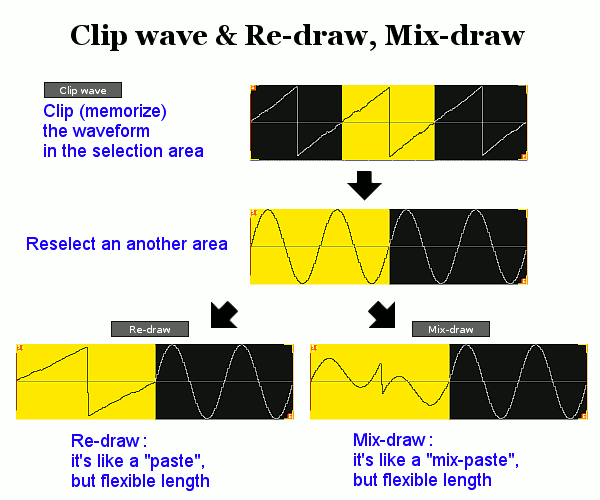 Especially, you can create various waveforms for oscillatoring. Just a little bump to let you know thatuprime22 has kindly donated thisexcellenttool to the Renoise team. The only thing that I really miss from this tool is the ability tocreate multiple-sample instruments - now on the TODO list. Does that mean it is going to be included as native feature?